Flummoxed by Bayer's three attempts to properly plead its claims, the Board granted three-fourths of Registrant Belmora's motion for dismissal for failure to state a claim upon which relief may be granted. 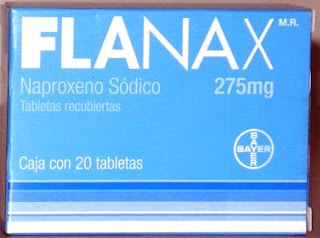 Bayer lost its Section 2(d) and its fraud claim by failing to allege prior use of its mark FLANAX in the United States by itself or by someone on its behalf. Bayer's claim under Article 6bis of the Paris Convention was jettisoned because the Convention is not self-executing and Section 44 of the Trademark Act does not afford the owner of a foreign trademark a separate basis for cancellation under a "famous mark" theory. 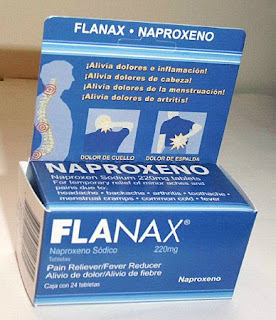 However, Bayer did manage to scrape through with its claim under Section 14(3) that by copying the FLANAX mark and packaging, Belmora misrepresented the source of its goods. Bayer Consumer Care AG v. Belmora LLC, 90 USPQ2d 1587 (TTAB 2009) [precedential]. Section 2(d): The Board dismissed this claim because Bayer failed to allege that, prior to respondent's filing date, its FLANAX goods were "manufactured or distributed in the United States by petitioner, or on its behalf." A third party’s importation and resale of goods does not by itself constitute "use" by petitioner, at least not without some allegation that the third party was licensed or authorized by petitioner to "use" petitioner’s alleged mark on petitioner’s behalf. Section 14(3) Misrepresentation: Bayer's allegations here were deemed legally sufficient because they "clearly and specifically" stated that "respondent copied petitioner's mark, including its particular display, and virtually all elements of its packaging" in order to "misrepresent to consumers, including consumers familiar with Petitioner's FLANAX mark," that Belmora's product came from the same source. Bayer's allegation of damage arising from Belmora's use of strikingly similar packaging "to misrepresent the source of " its goods was enough to provide Bayer with standing to bring this claim. Although existing case law does not address whether petitioner's alleged use is sufficient to support a claim of misrepresentation of source, we find that at a minimum the claim is pled sufficiently to allow petitioner to argue for the extension of existing law. Moreover, respondent's focus solely on petitioner's extra-territorial use fails to take account of the fact that respondent's use is in the United States and to the extent such use may be misrepresenting to consumers making purchases in the United States that petitioner is the source of respondent's products, the misrepresentation is alleged by petitioner to be occurring in the United States. The Lanham Act provides for the protection of consumers as well as the property rights of mark owners. Fraud: Bayer's fraud claim was "untenable" because, in light of its lack of prior use of its mark in the United States, it did not sufficiently allege that it has legal rights superior to those of Belmora. And so the Board tossed out three of Bayer's claims and resumed the proceeding vis-a-vis the Section 14(3) claim. Bayer v Belmora ... holds that Section 44 of the Lanham Act does not create a famous mark exception to the territoriality principle. Those familiar with, for example, the Punchgini case in NY, know that this is the majority view. Having said that, the holding in the GIGANTE case 391 f3d 1088 (and the fact patterns in the MONTE CARLO, PERSONS and COHIBA cases) suggest that amending the Lanham Act to provide a cause of action based on 6bis where the intentional adoption of a famous mark that has such 'reputation without use' in the US, [causes] consumer confusion ..., might lead to some fair results. And, by the way, American companies have been enjoying the benefits of Article 6bis abroad for over a hundred years. Has INTA ever lobbied for such an amendment? Note that here, the Board did allow the Section 14(3) misrepresentation claim to go forward. Will that provide Bayer the relief that the Board denied under its Article 6bis claim?